If you have sought enlightenment your whole life, as I have, you have most probably found much more than you ever expected. The Muse has shown me many timelines, yet none of it really matters except who I am now. After all, Time is an illusion. 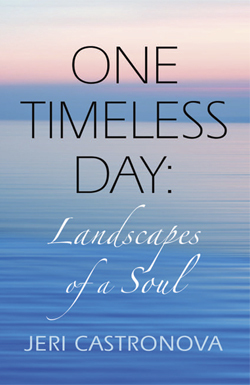 All our lifetimes exist simultaneously: in One Timeless Day. May you find your truth. May you meet your soul. May you shine your light into the world. Goddess knows, we need it. This collection on love, dreams, delusions, humor, the goddess, and more, is poetry for that day. Why has the true history of the Earth been kept secret? Was the Exodus really Egyptians, not Hebrews, leaving Egypt? What don’t the archeologists know about Nefertiti? Why did the Vatican want to wipe out the Irish? Why don’t we know about Egypt’s link to the Grand Canyon? What happened in the “hidden years” of Mary Magdalene? Who is Scota, and why does the Vatican fear her? Why has Akhenaten’s mummy never been found? This book provides the amazing answers to these questions, and more. 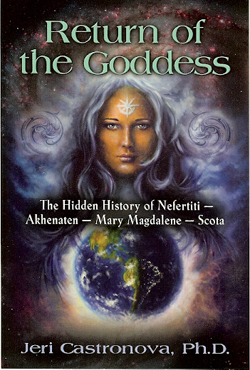 Most of the historical stories in this book have never been told. Why? Because they have been deliberately hidden until the divine right time to disclose the truth. That time is Now. These are the words of Isis at the beginning of 2012 when she assigned Jeri the task of writing a Guide to the Golden Age and exploring ancient matriarchal consciousness sites. 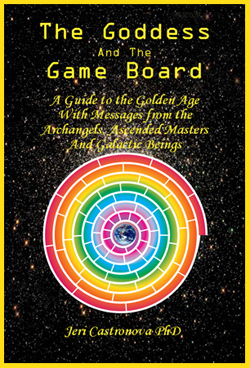 The Goddess and the Game Board have returned to lift humanity into claiming Mastery of their Divine Beings in beauty, abundance and joy. A New Thriller Series filled with Adventure, Romance, and Intrigue. Join the Search for Ancient Wisdom where the Old is New and Truth is closer than you think. 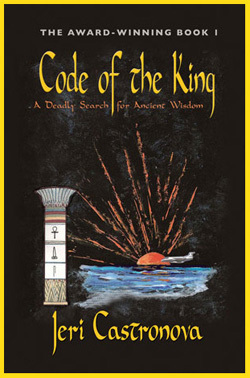 In this powerful new thriller a mysterious hieroglyphic Code is found in Jerusalem. An enigmatic billionaire who heads the black market trade in antiquities quickly plunders the find. A rebel Egyptologist stands at the center of a predynastic secret that could change the world. She has 3 whirlwind days to embark on a deadly quest to translate the Code, escape the murderous black market thieves, rescue her kidnapped fiancé, and find the lost temple before the window of time is closed forever. In this fast-paced novel, readers are kept in suspense until the climactic finale of self-discovery and the future promise of ancient wisdom. 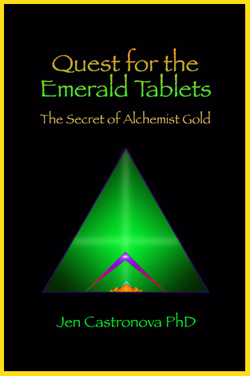 Dr. Sydney Grace, the 'chosen one' according to a mysterious shaman, races to find the legendary Tablets of Thoth and their world- shaking words of power that would lift the veil on transmuting lead into gold. Black magicians in Egypt and artifacts looters in Istanbul use old magic and modern technology to intercept her. At stake is the last of the Seven Wonders of the Ancient World. The diabolical magicians threaten to blow up the Great Pyramid--from the inside! A mysterious golden disc is discovered under the Coliseum. A journal surfaces purportedly written by Mary Magdalene. A lost Orb is found in Glastonbury at the site of the legendary church said to be built by Jesus himself. The chase begins. . .
Dr. Sydney Grace stands poised at the center of an earth-shaking mystery where hidden wisdom and modern science align to reveal a Game Board that holds the key to the innate entitlement of humans. One step ahead of the horrific duo—the Vatican and the Sicilian Mafia—she straddles the edge of life or death. Her success could trigger not only a world-wide revolution as foretold in the Mayan prophecies, but the fateful collapse of the Vatican. 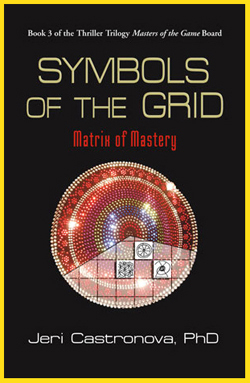 Illuminates the way to personal growth and development, especially to women, but also to men. 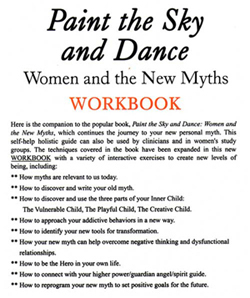 Step-by-step guidelines lead to the creation of new personal myths, which bring new awareness of talents and any addictive behaviors standing in the way of expanding those talents and skills. 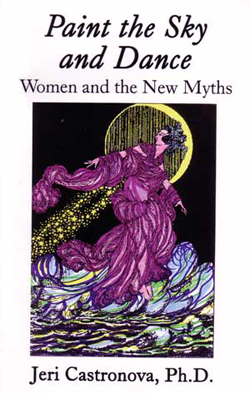 The author has created new stories based on old myths and provides insight into how she and others overcame behavioral and psychological difficulties, and includes tried and true practical methods for rewriting personal and global myths.